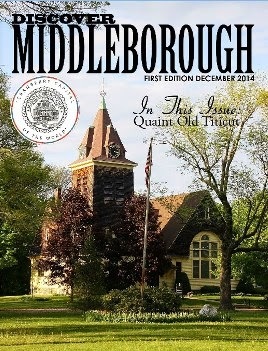 Antiquated maps of Middleborough show at the far lower right-hand edge, in the southwestern most corner of the town, a bean-shaped spot of blue. 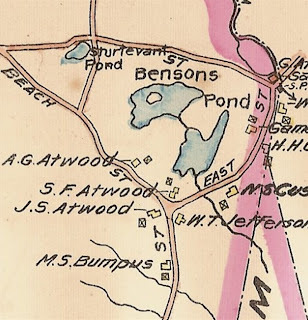 That spot, which was bounded by East, Pine and Beach Streets, and which was marked on these maps as"Benson's Pond", no longer appears on maps of Middleborough. 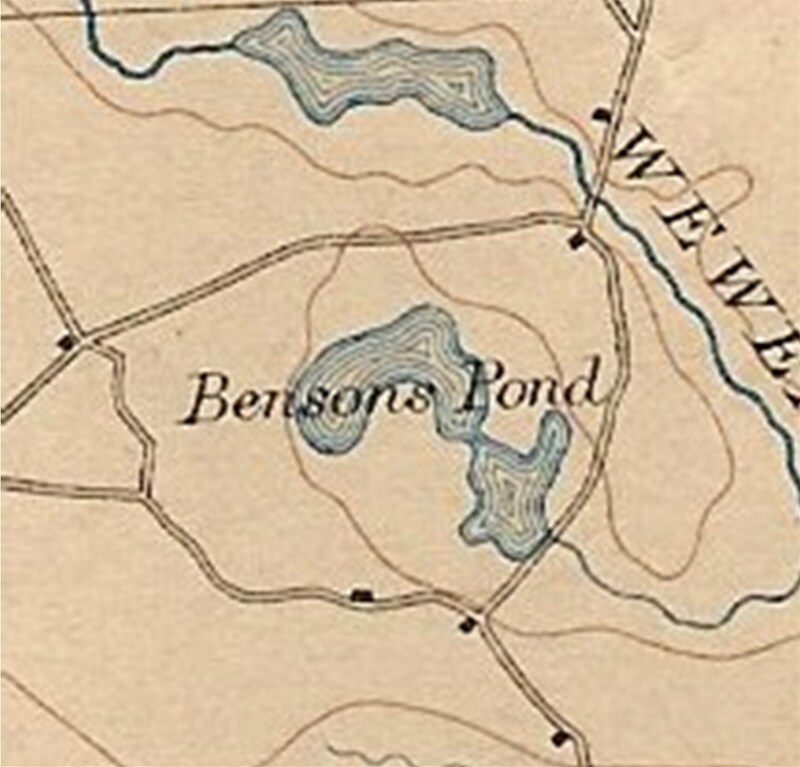 Benson’s Pond was named for John Benson, Jr., who first acquired the pond in 1702. When the South Purchase was divided in the late 17th century, the then unnamed pond fell into the 138th and 139th lots and it was noted in the documents of division that “the two lots last mentioned have allowance for a pond that is in them.” The lots fell to William Ellis and James Soule, neither of whom owned them long. On January 1, 1702, John Benson, Jr., of Rochester acquired the twin lots and the shallow pond. 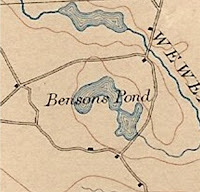 The story of the "disappearance" of Benson's Pond begins about 1850 at which time the 30-plus acre pond is believed to have been drained, though for what purpose is not known. In time, the pond refilled. It was notorious for its shallowness (plans of the pond drafted in 1931 reveal a maximum depth of just over a foot and a half), and was surrounded by sedge grass. Because of its surficial expanse, however, the pond was considered to be one of some 830 "great ponds" in Massachusetts, control of which was vested solely with the Commonwealth. 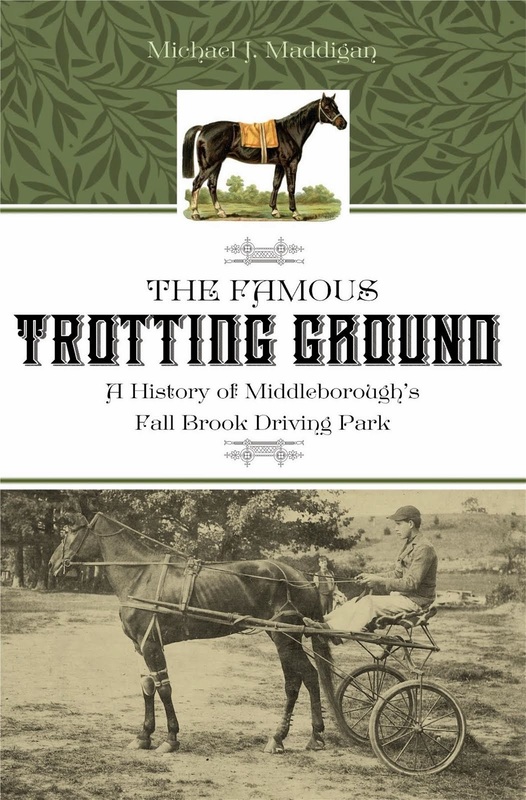 Though for most people in 1909 the emptying of Benson's Pond nearly sixty years earlier was but a dim memory, the idea of deliberately draining the pond, in fact, piqued the interests and actions of one local man. In the first months of 1909, Samuel B. Gibbs of South Carver acquired the properties surrounding the pond which he proposed to drain in order to construct a cranberry bog upon its bed. Before going further, however, Gibbs had to convince the Commonwealth to surrender its rights in the pond, an action which would be unprecedented by the state. Not surprisingly, Gibbs' ensuing petition touched off considerable debate and "the livliest hearings." 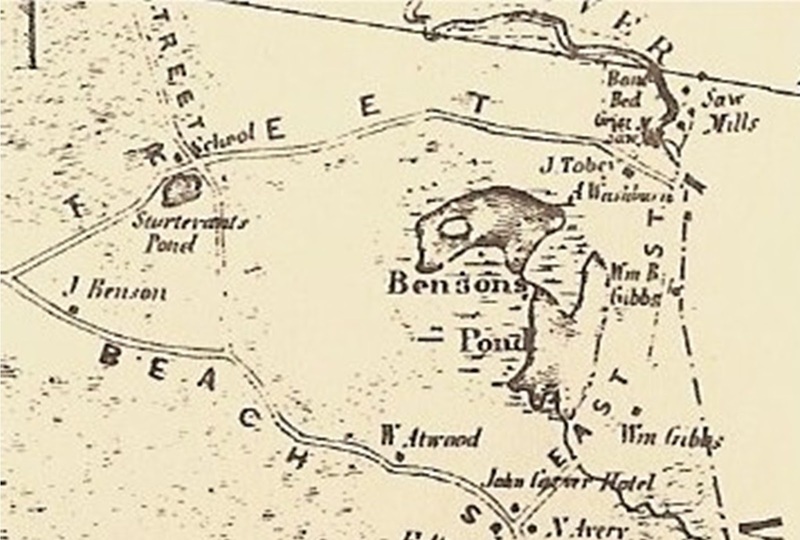 Despite the claim that the drainage and reclamation of Benson's Pond "would be worth $30,000 for the production of the crop," several groups were opposed to the project. The Massachusetts Fish and Game Protective Association regarded the pond as "a true game sanctuary and [it] ought to be preserved," noting it as a nesting place for black duck. 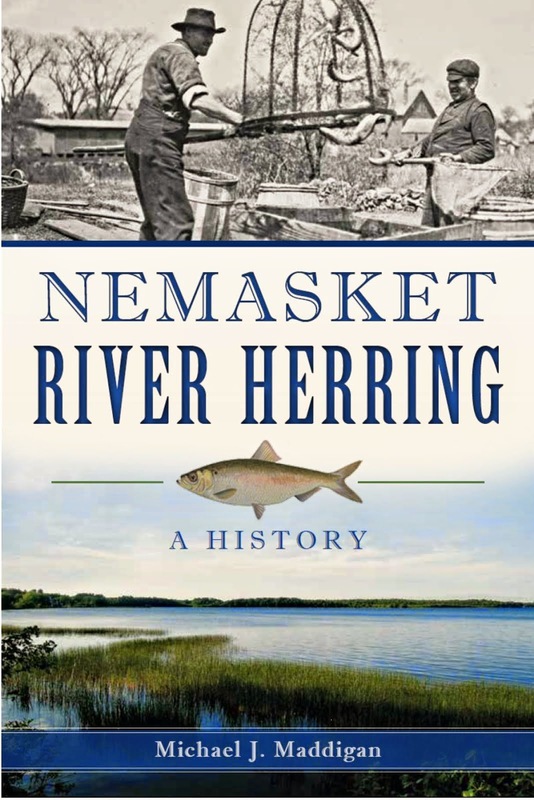 Similarly, George W. Field, Chairman of the Massachusetts Fish and Game Commission, not only emphasized the importance of the nesting and breeding grounds situated at the pond, but also questioned "whether the legislature had the constitutional right to turn the pond over to private owners." Further hearings upon the issue by the Harbor and Land Commission only served to demonstrate how entrenched opposition was becoming to Gibbs' plan. At a hearing in September, 1910, at the East Street home of plan supporter Gamaliel Cushing, Horace P. Tobey of the Tremont Iron Works of Wareham, H. W. Hollis of the Standard Horse Shoe Company of Wareham, John S. Atwood of Middleborough, D. C. Keyes of South Wareham and G. G. Atwood of Carver, all of whom operated businesses on streams fed by Benson's Pond, spoke in opposition, as did James J. Ryan of the Carver Commercial Club. 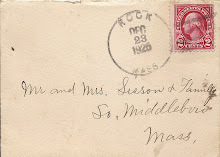 Austin & Nye, owner of a cranberry bog located across East Street from Benson's Pond which was partially dependent upon pond water for its operation, also was opposed. Though he did not speak, John A. Lowell of Boston was present as a witness for the Massachusetts Audubon Society, his presence providing mute testimony to the environmental sensitivity of Benson's Pond. Given these concerns - political, environmental and economic - it was only with great difficulty that the Harbor Commission pondered the enormity of the issue before it: " ... Should the rights of the commonwealth in great ponds, held for the public since colonial days, be relinquished and the lands under the same sold to private persons for commercial purposes?" Never before had the state forfeited such rights. The Commission was also obviously cognizant of the fact that should it approve the Benson's Pond scheme, a decided precedent for future like proposals would be set, a step the Commission was somewhat loath to take. It concluded: "In view of the embarrassments which may accompany a sale of this pond, it is perhaps as well for the commonwealth to retain its right in this public reservation for whom it may concern, whether for bird and fish preserves, cranberry culture or mill wheels or such unknown public uses as may in the future develop." 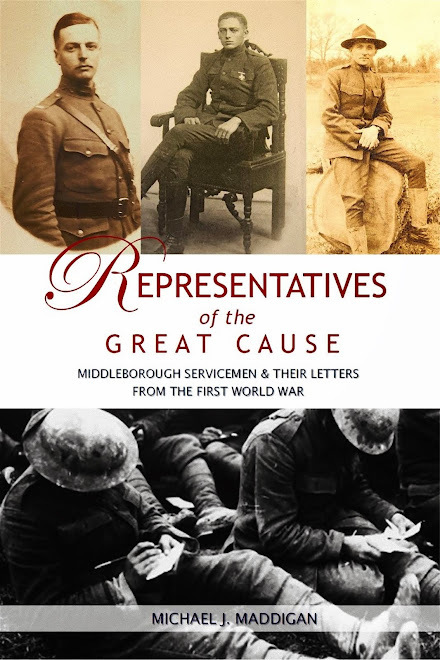 Clearly Gibbs could comprehend the direction in which proceedings were headed, and early in 1911 he forestalled a decision by the state by withdrawing his petition, stating publicly that he "did not wish to press the matter further." Shortly afterwards, he disposed of the property abutting the pond to Charles R. Rogers, James Miller and Colburn C. Wood, all of Plymouth, and Dr. Edward H. Ellis of Marlborough. 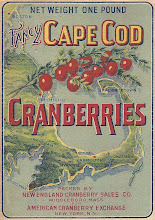 Despite the failure of Gibbs' proposal, the idea of draining Benson's Pond for cranberry cultivation gestated for another twenty years. 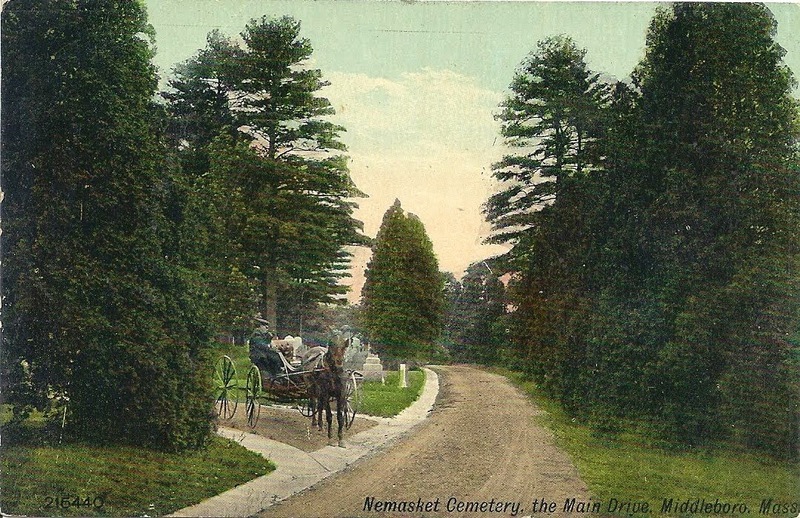 Eventually, George A. Cowen of Rochester, who had entered into partnership with the Benson's Pond proprietors, petitioned the state, once more, to acquire title to the pond so that it might be drained. As Gibbs had before him, Cowen argued the economic merits of the proposal, citing the amount of taxable property ($20,000) which would be created, a particularly convincing argument which understandably curtailed opposition to the plan given the worsening economic climate of that time. An engineer for the state Department of Public Works which controlled the pond, submitted a survey favorable to the proposal and the inexplicable evaporation of the earlier advocacy of wildlife protection after 1911 removed what advocates of the proposal could only see as an impediment to draining the pond. 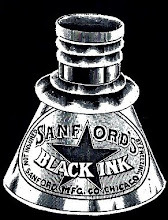 By 1930, it was noted that "there is no opposition to this project now." Even the Middleboro Gazette enthused that the resulting bogland "will be a great addition to the cranberry acreage in this town." Nonetheless, five additional years were required before the state agreed to surrender its rights in Benson's Pond to Cowen and his partners who were given until October 21, 1941 to complete the project. Cowen succeeded within the required timeframe in draining the pond and creating Benson's Pond Cranberry Bog. 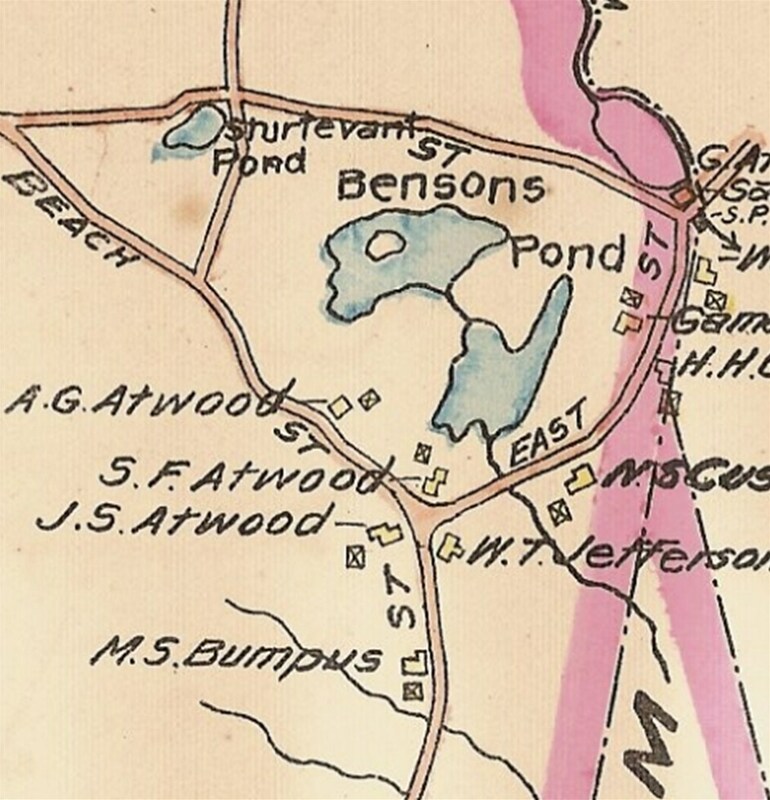 With the construction of the bog, Benson's Pond "disappeared." 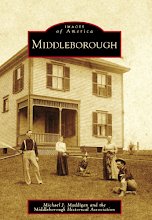 No longer would there be a spot of blue in the southeast corner of maps - or the landscape -of Middleborough. Benson's Pond Cranberry Bog, photograph by Mike Maddigan, June 9, 2005. Benson's Pond Cranberry Bog dates from the early 1940s when Benson's Pond was drained to create new bog. The view is from East Street.